Years ago, when I received my first Indian cookbook as a gift, I was living by myself and cooking for one. The recipe for butter chicken was among the first I tried, and since it didn’t naturally lend itself to being halved (I can’t be the only one whose leftover half cans of tomato paste languish in the fridge for months, right? ), I went all in and made the full amount. One of my friends came over to join me the first night, but regardless, I was still eating butter chicken a week later. It was still delicious, but my enthusiasm had waned slightly, and I decided that in the future, I needed either to cook this recipe only when feeding more people or to find more ways to use butter chicken sauce so as to avoid leftovers monotony. Since then, the boyfriend has entered the picture, but even with his sometimes alarmingly ravenous appetite, we’ve still got lots of leftovers when I make butter chicken. When I posted the recipe a couple of years ago, however, Sarah from Devour gave me a great tip (thanks, Sarah! ): she likes to make naan pizza with extra butter chicken sauce. 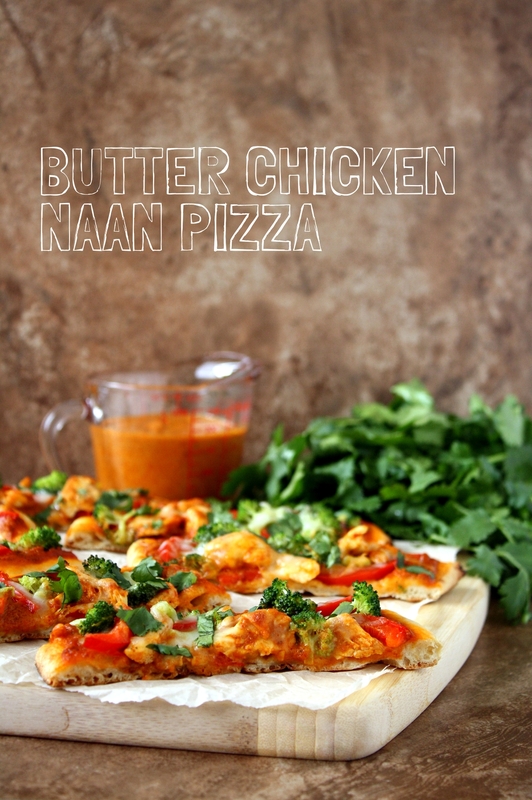 It may have taken me a while to try it out, but here you have it: my take on butter chicken naan pizza! 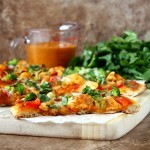 These butter chicken naan pizzas are a prime example of fusion cooking. 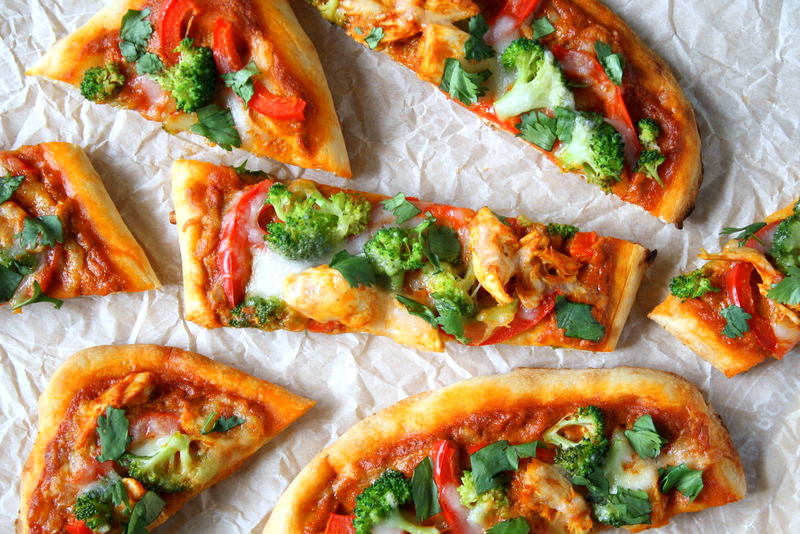 You take traditional Indian naan and butter chicken sauce and combine them with some traditional pizza toppings: I chose mozzarella, bell peppers, and broccoli, but feel free to play around with the toppings as you see fit! 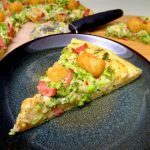 The result is a vibrant and zesty flatbread pizza, which can be served as an entrée or as an appetizer. What is your personal leftovers limit? How many days in a row can you eat the same thing for dinner without tiring of it? Note: While at first glance it may seem a little excessive to spend an hour making butter chicken naan pizzas, remember that you’re actually creating the makings of possibly two or three dinners (depending on the size of your household). To make four butter chicken naan pizzas, you only need about 3/4 cup of sauce, whereas the sauce recipe yields about 3 cups; the 2 1/4 cups remaining is more than enough for another dinner of butter chicken over rice for a family of four. In a medium saucepan, heat 1/4 cup vegetable oil over medium heat for 1-2 minutes. Add the minced garlic and sauté for 1 minute (it will get a bit sticky, so stir constantly!). Add the tomato paste, spreading it around in the pan. Reduce the heat to low and add all the spices, stirring to combine. Cook for 4-5 minutes, stirring often. Add the water and heavy cream and bring to a boil. Once it boils, reduce the temperature to low and simmer for 5-8 minutes, whisking occasionally. Place the naan on a baking sheet. Rub the naan with olive oil. If you are using frozen naan, warm it up in the microwave first. Add a few spoonfuls of butter chicken sauce to each naan and spread the sauce evenly, leaving about 1/2 inch bare around the edges. In a small bowl, combine the shredded cooked chicken with a few tablespoons of butter chicken sauce. Spread the chicken, sliced bell peppers, and broccoli florets (see note) over the naan. Top with grated mozzarella. Bake for 10-12 minutes. Sprinkle the chopped cilantro on top and serve. The sauce takes about 30 minutes from start to finish. If you make the sauce ahead of time or are using leftover sauce, it only takes 10-15 minutes to assemble the pizzas. If you prefer more tender broccoli, give the florets a quick steam in the microwave before adding them to the naan: put them in a bowl with a few tablespoons of water, cover the bowl, and microwave for 1-2 minutes. Butter chicken sauce adapted ever so slightly from Vij’s at Home: Relax, Honey. 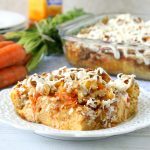 I’m sharing this post at The Wednesday Showcase, Foodie FriDIY, Fiesta Friday, and Recipe of the Week. What a great food fusion idea! Pizza and butter chicken are both winners in my book 🙂 When it comes to leftovers, I can easily eat the same thing for three or four days if it’s tasty. Thanks, Heather! Sarah’s suggestion is definitely a good one. Three or four days sounds reasonable to me. Beyond that, I start getting a little bored, even if it’s good food! I love love love Indian food and putting it on pizza is the most genius idea ever! Loving this! 🙂 (Your blog is great by the way). I cannot believe how gorgeous your pictures are. Just hearing about this makes my mouth water but I’d hang the picture on my wall. YUM! Thanks so much, Maggie! 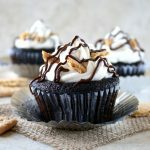 I actually meant to post this recipe last November, but I was so unhappy with the original photos that I held off until I could shoot better ones. I’m so glad to hear you like these! Oh my goodness, be still my heart! I love Butter Chicken and Naan! I would have never thought to make a pizza out of it. I can hardly wait to try this recipe. Thanks for sharing it! I love this mash-up! 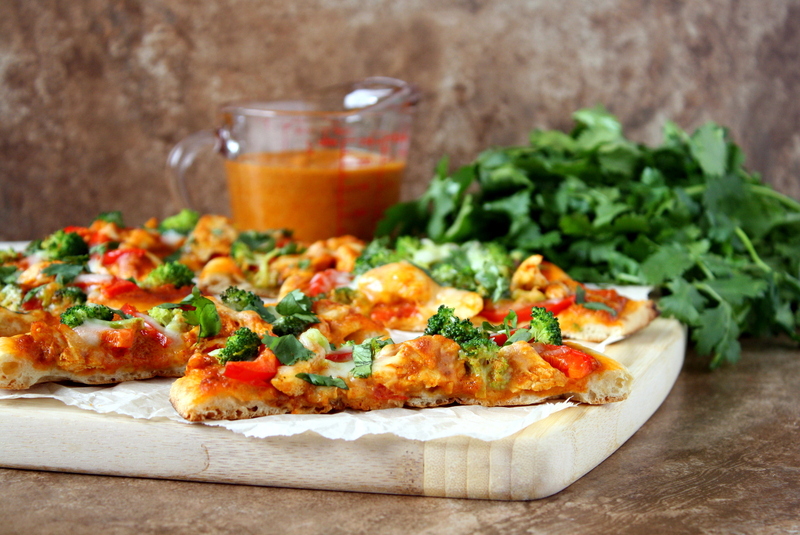 Butter chicken is one of my favorites, but you’re right, it makes a lot and can get boring after the third night 😉 This pizza is the perfect answer – a fresh, fun take on the leftovers and wow, what great flavors all together! Thanks, Kathryn! Yes, as much as I love butter chicken, after eating it for a week I realized that you really can have too much of a good thing. 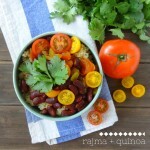 Repurposing leftovers can be a lot of fun, as I learned here! I love butter chicken. I love, love, LOVE naan. I love pizza. I love leftovers. So I guess I need to try this! Sounds pretty serendipitous! I hope you enjoy this as much as we do. And I’m glad you love leftovers…I’m always a bit puzzled when people say they don’t. Leftovers are pretty much the greatest thing ever, you know? This sounds AMAZING! I love Butter Chicken and I love Naan, so this is the perfect dinner for me. I can’t wait to make it soon! This sounds and looks amazing! Thanks for linking up with us at The Wednesday Showcase! Thanks, Joanna! And thanks (as always) for hosting! This pizza look so great! I love naan bread and using it for pizza is a perfect idea! Woah, this sounds amazing, Mara! I can’t say I’ve ever had butter chicken, but I can tell from these photos that I need to try it…and soon. I’m a huge fan of flatbread pizzas, and I don’t know why I haven’t thought about naan pizzas. This needs to happen. Like right now. And as far as leftovers, I really don’t mind ’em. I can do 3 nights of leftovers before I need to at least take a night off and mix it up a bit. Looks so unique- love naan- pinned to try later. Found your blog on Foodie Fri. and started following on Pinterest. Hi, Erin! I’m so glad you stopped by. Let me know how it goes if you try this! Agreed – I really hate throwing away food! This is definitely a tasty way to prevent anything going to waste. Thanks for stopping by! This is genius! I’ve been craving for pizza and I believe this is the answer! Happy FF, Mara. Now Mara, this is the way to get Fiesta Friday started! 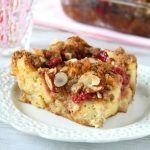 It looks absolutely delicious and a recipe I’ll be trying! Thanks, Julie! I hope you enjoy it as much as we do. Thanks for hosting this week! Love this!! 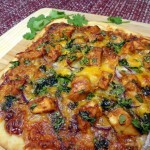 I adore butter chicken and making a naan pizza out of it is AMAZING!!! Haha yes, I fully agree – sharing is NOT necessary when it comes to these pizzas! Thanks, Natalie! Indeed, it’s hard to imagine getting bored with these pizzas! Wow. This looks incredible!! And so pretty! By the way, are you familiar with tubes of tomato paste? They’re genius – you can use as little as you want and refrigerate them! Thanks so much! And no, I’m a little embarrassed to say that I’ve never considered tubes of tomato paste. That is a great suggestion, though – I’ll have to keep an eye out for them! If they sell them where I live, then you can certainly find them. There are right there with all of the tomato products. This looks amazing! Using naan for the base of a pizza is so genius! I really like using naan for pizza – I’m not a natural planner when it comes to meals, so having enough time to let dough rise is usually out of the question! I hope you get a chance to try this, and thanks so much for stopping by! this pizza is perfect! so colorful, flavorful and delicious! I’d die to have a slice right now! Thanks so much, Marcela! I’m so glad it caught your eye! This looks amazing! I’m pinning! Thanks, Debbie! I’m glad this caught your eye. Thanks, Jess! 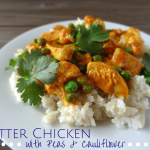 Butter chicken is one of my favorite Indian dishes to make at home. It involves a fair number of spices, but it’s really quite simple to put together! And I completely agree with you about wasting food. 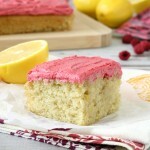 Omg totally in love with this recipe! I definitely need to try it out 🙂 Sharing it on twitter & Facebook. What a beautiful looking pizza, and a brilliant idea blending the Indian/Italian to come up with this delicious looking naan pizza. Thanks, Loretta! I’m so glad this caught your eye. Sounds awesome! 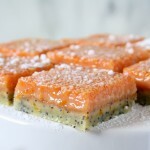 These photos are making my mouth water! This looks interesting — and delicious! I’ve pinned it to try!